Smartphone and tablets are great for being productive but if you see from my site and lots of others online, gaming is best! 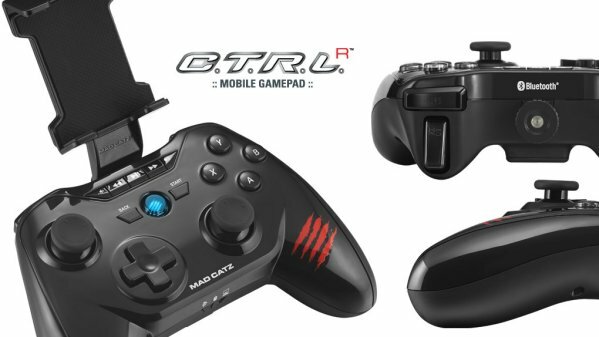 In today’s product review, I am looking at Mad Catz’ C.T.R.L. 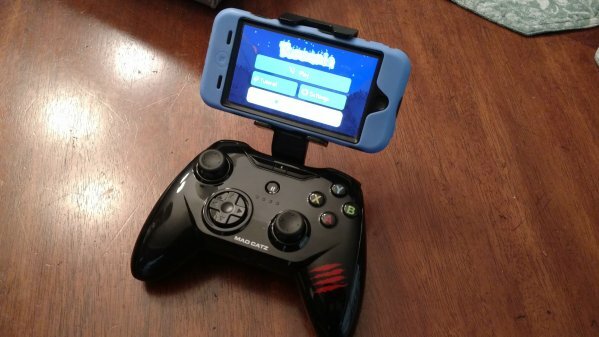 Mobile Gamepad. 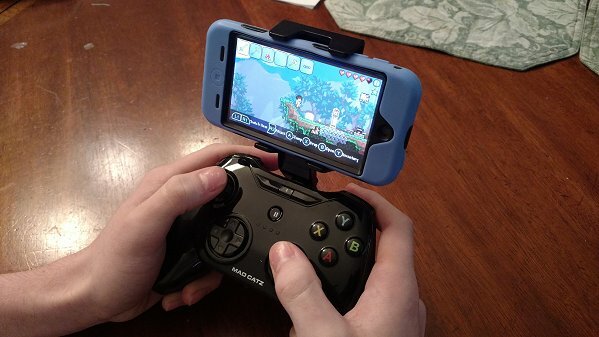 Need to provide a shout out to MobileFun for providing a review copy of the gamepad. 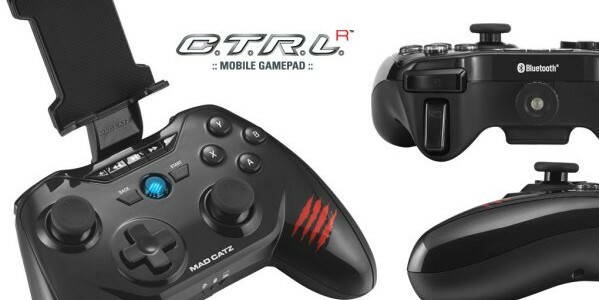 Mad Catz’ C.T.R.L. Mobile Gamepad comes in two versions, one for Android and one iOS. I am reviewing the iOS version. Now the gamepad connects to your device via Bluetooth so setup is a breeze. if you have ever setup a Bluetooth device, you know what to do. Overall I found the gamepad to be sturdy and well built. It is just like the gamepad you would use for PS2; its has 2 joysticks, 1 arrow pad, and the standard X,Y,A,B keys along with R1, R2, L1, L2 buttons on the top. 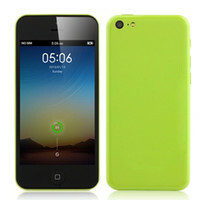 Once you are connected via Bluetooth, you are ready to play. This gamepad also comes with an adapter so you can hold your iPhone or iTouch. One of the big thing that needs to be pointed out is that not all games will work with the gamepad. There are over 800 games for the iOS version but a lot less for the Android. Mad Catz has a complete list up on their website – iOS Games, Android Games. There are a ton of great games on the list like FIFA Soccer, Star Wars, Minecraft, and more. My son decided to test the controller with the game Terraria. He reports it works fine and that you can use the on screen controls if you want too. It took him no time at all to set it up and get gaming. The Mad Catz’ C.T.R.L. Mobile Gamepad really gives you the game console feel while playing on your mobile device. If you are a big gamer, I definitely can recommend this investment. Now before I sign off, I want to have you look at this page on their website – GameSmart or check out the video below. You can connect your mobile device via an HDMI cable to your large screen TV and boom you are really in business! If you looking to snag one of these ($49 USD), head over to MobileFun’s website for more info or subscribe to our newsletter for a chance to win one for free! An excellent way to feel like you are playing on a game console.